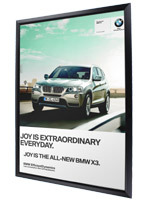 These Photograph Frame Holds Vertical and Horizontal Prints! Each Unit Is Offered At An Affordable Price Online. 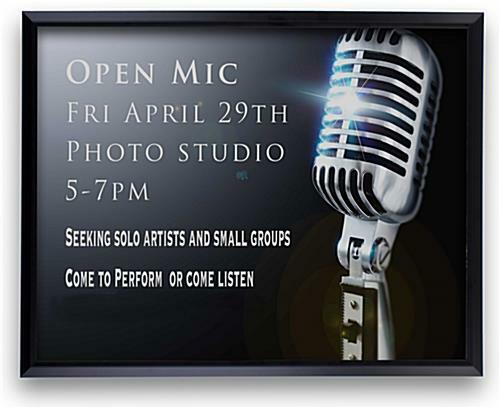 Purchase These Photograph Frame Now! 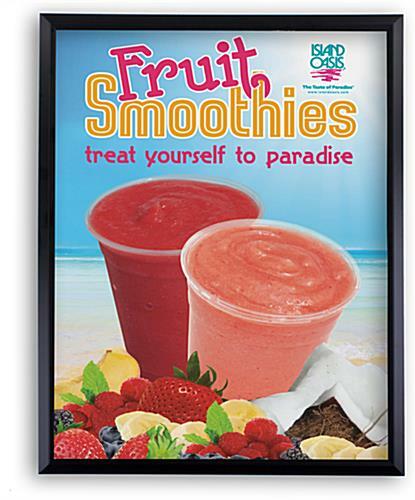 27" x 40" 30" x 40"
These inexpensive poster holders, Photograph frame is a great solution to showcase kid's drawings, student artworks or educational posters. 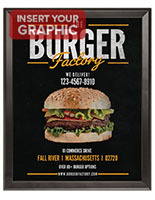 This photograph frame has a black molding, accentuates any type of graphics with a contemporary appearance. 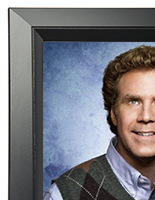 This photograph frame, also known as picture holders are popular in college dorms, employee lobbies and retail stores. 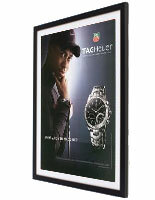 This photograph frame comes with a non-glare overlay, helps to protect the images from dust and moisture damage. Retaining tabs mounted on the back of the photo frame, serve to hold the posters on the pristine position and press the protective lens, image and foam backboard tightly. 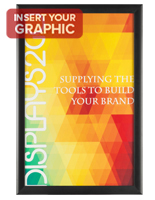 The black perimeter frame molding measures 1-3/5" wide and covers 3/8" visual area on all four sides or your poster. 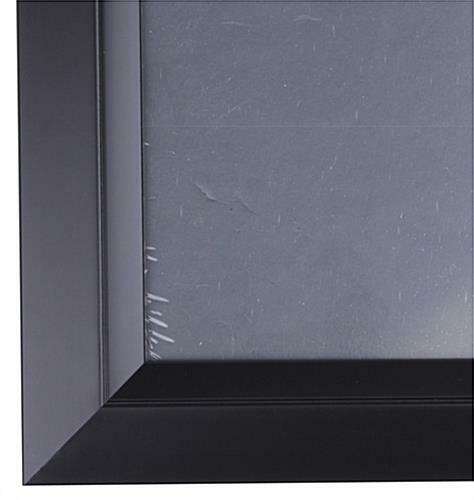 This photograph frame includes 4 hanging brackets for you to display your favorite pictures either vertically or horizontally. 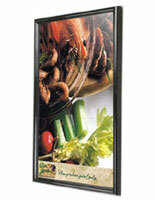 Note: These discount sign holders, photograph frame are designed for an economical price point. Do not order for upscale applications such as framing fine arts in museums. Also, the provided PVC lens is made from flexible plastic. This is not a glass lens.